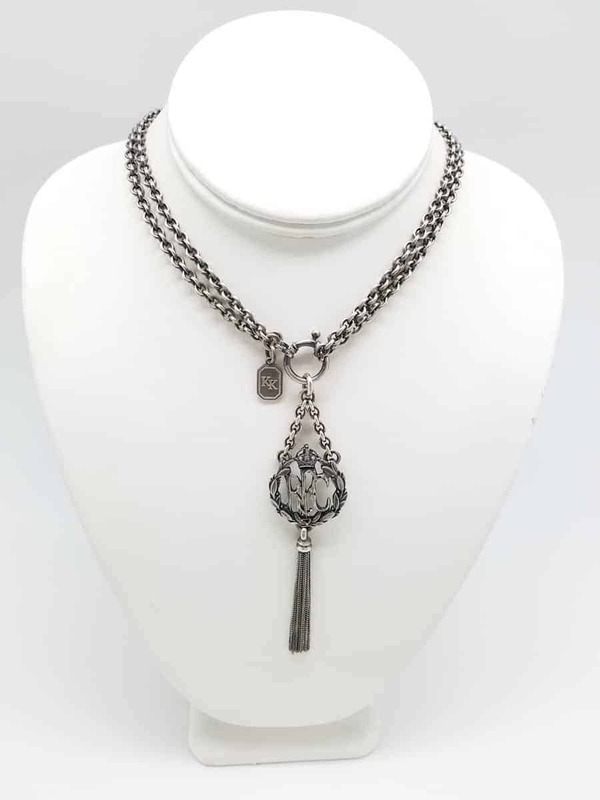 Cable chain necklace with British RFC - Royal Flying Corp - pendant and tassel. One-of-a-kind! Can be worn long or short.